Once all is set and it is time to choose your Office Furniture Stafford, some serious considerations have to come into play. Investing in Office furniture is always overwhelming since in most cases it takes up a huge amount of money to procure furniture, irrespective of whether it is used furniture, new furniture, or refurbished office furniture. Nonetheless, expert expertise comes in handy whenever you feel stranded and do not know where or how to start. 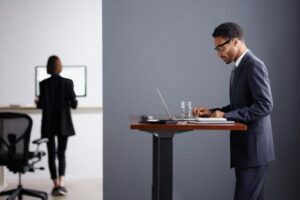 When we talk about new or used office furniture Houston, what always come to mind is whether to settle for modern office furniture or alternatively stick with or remodel traditional office furniture. However, irrespective of what you choose you always have to begin with your budget. This will always be a guiding factor and a limiting one since it is always difficult to get what you want when it is beyond your pocket. As a general rule, always stick with a supplier of Office Furniture in Stafford that has both low and high budget range furniture. That way you can never run short of options. 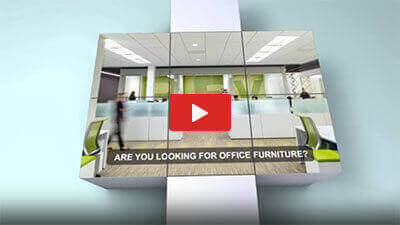 There are so many options of new and used office furniture to choose from, online or offline. It is therefore essential to know exactly what you are looking for. The furniture for your office comes in a wide array of designs, styles, and colors. Some firms have found it necessary and more appealing to settle for a blend of traditional and contemporary patterns and styles. Office Chair-the chair is an essential item for any office since no one can operate for an extended period while standing. Therefore all decisions with regard to Office Furniture in Stafford must include a plan for the right chair. Choose a chair that provides comfort and blends well with your interior décor. An ergonomic chair is particularly essential in this day and age where most of us operate on computers and laptops. It offers the best comfort and prevents back pains and injuries. 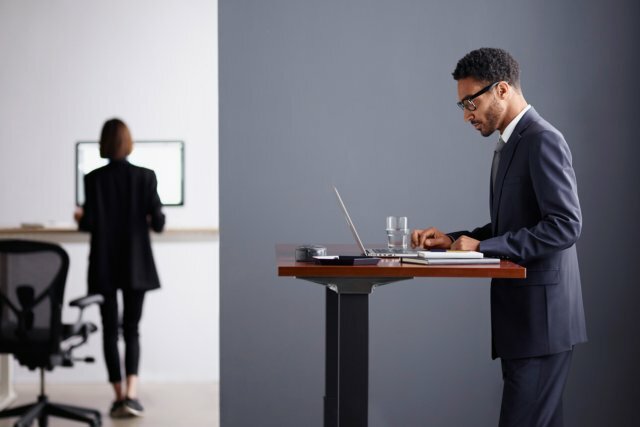 Office Desks-it is almost impossible to operate in an office that does not have a desk. This is needed for keeping phones, computers, pens, printers, and other equipment. They are available in so many styles, colors, and designs as well. Some of critical office desks for an office include; managerial desk, executive desks, or height adjustable desks. You can choose a number of styles and designs as well including; compact corner desks or the L-shaped desks. Most online suppliers of new and used office furniture in Houston such as Clear Choice Office Solutions offer unlimited options when it comes to office desks. Bookshelves-this is a must-have to most businesses. They are needed for keeping documents and books. Law firms in particular cannot operate without bookshelves. They make it easy to access required information. You have different styles and sizes of bookshelves to choose from and they also come in different prices. Filing Cabinets-this is an important furniture item for keeping resources, information, or files. You have so many styles and colors to consider when it comes to file cabinets. You can settle for wood, leather, or metal filing cabinets. Ensure they are lockable and secure. Now that you understand the options you have, it is time to allocate the office furniture to the right areas. If you have a traditional office then it might be an ideal time to remodel it and spice it up a little into a modern office. The current office in Stafford is no longer the ordinary formal setting but offices are now comfort and fun hubs. Therefore, you need to allocate space for diverse purposes if you want to bring out an exquisite modern office. Plan your space for conference rooms, resting areas, secluded cabins, collaboration areas, and many others. The Lobby area-since this is the area where first time employees and visitors first encounter, make it the most impressive. Remember you will never get a second chance to make a first impression. Therefore choose unique and stylish furniture for your lobby. Some of the options to consider include; formal and stylish sofas or neat designs and clean–edge chairs. These should be comfortable and match with your décor. Furthermore, utilize minimal accessories such as contemporary vases or potted plants. As for color, white ash, neutral shades, or light brown are ideal for the lobby. Management area of master cabins-if you want to provide an exclusive space for department heads then ensure these areas are well-designed and fully-equipped as well. Choose a wooden and vast table with drawers, a stylish and comfortable office chair, file cabinets that blend with the interior décor, Chairs for visitors, and an excluded space for sofas, and coffee tables for collaborative discussions and entertaining special visitors. The Lounge-this area is ideally meant for resting and refreshing during breaks or interval. It should be appealing and charming. Choose brightly colored tables, and décor accessories for this area. Conference Room-you need ergonomic and yet elegant and stylish chairs for the conference. This will offer the required comfort to those on long meetings and still not compromise on the aesthetic value of your office. The good thing with the furniture options is that they can be procured as new, used, or refurbished. You do not really have to dig too deep into your pocket in order to have an excellently designed modern office. Choosing office furniture Stafford and all of Houston has never been this easy and it even becomes much easier when you have an expert to guide you through the entire process. One of the office furniture suppliers that has a good reputation in Stafford is Clear Choice Office Solutions. At Clear Choice you get new, used, or refurbished office furniture and top notch service. To get to know more about the company and the products we offer visit https://clearchoiceos.com/.